Hargrave Law, PC, located in Bedford, Texas, has been representing clients with issues concerning family law, probate, real estate law, personal injury and civil litigation for over 15 years. Led by our attorney Earl A. Hargrave, our law firm is focused on providing personal attention to you and your case. We are a solutions-based law firm. We approach each case with an eye toward finding an efficient resolution to the situation before it gets out of hand, because we want you to be able to put these issues behind you as soon as possible. While we try to find an agreement, we are prepared to go to trial once we take your case, as it is not always possible to find common ground with the other side. Attorney Hargrave has extensive trial experience, and will be aggressive when pursuing your interests in the courtroom. 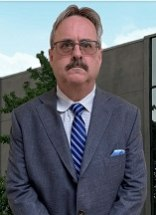 Whether you need assistance with a divorce, have recently lost a loved one, are looking to resolve a dispute with a neighbor or have been injured in a motor vehicle accident, our lawyer will be there to explain the entire process to you. We will help you understand not only your options, but also the impact of your decisions. Many of our past clients have referred their friends and relatives to us, and we take pride in the services we offer to clients. At Hargrave Law, P.C., our main concern is that you are able to move forward once your case has been resolved.